Wild cards * and ? The character * is a wildcard, and matches against one or more character(s) in a file (or directory) name. The character ? is also a wild cars which matches exactly one character in a file(or directory)name. In this command there are two arguments. What if someone try to run this command without any of those arguments? the shell will probably give an error indicating arguments are missing.This point is crucial when someone uses commands which necessarily need arguments in their shell script. In that case they should run their shell script provided with those arguments. Suppose our shell script name is comLineArgs. Refresh memory on how to run it. If someone needs to give the inputs to their shell scripts externally they can give them as command line arguments. The command line arguments which are used at a time can be also be accessed inside the sell script simply as variables. If someone needs to find the number of arguments $# can be used. $* represents all the arguments. Example Shell script describing how to access command line arguments. echo "Total number of command line argument are $#"
echo "$0 is script name"
echo "$1 is first argument"
echo "$2 is second argument"
echo "All of them are :- $* or $@"
> symbol is used to redirect the output of a command. The above command creates a new file file1 or overwrites the existing file file1. Cat command reads the inputs given by the keyboard and redirects its output which is normally printed on the screen into the file1. >> symbol is used to redirect the output of a command as well. 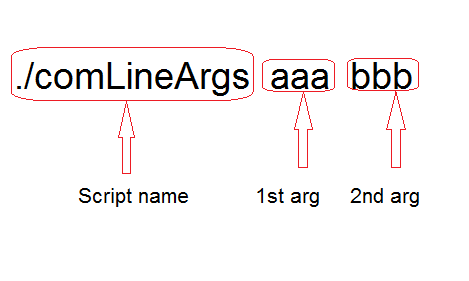 Same thing as the > symbol but won’t overwrite the file adds more lines to the end of the file. sort command sorts the contents of list1. Note that here inputs for the sort command are provided by the list1 file. Pipe is a temporary storage that output of a one command is stored and passes to another command as its input. Output of ls command is given as input to wc command So that it will print number of files in current directory. Shell is a command line interpreter that executes commands read from the keyboard or from a file. 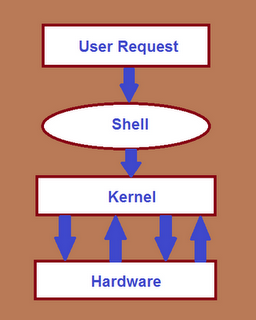 It is not part of system kernel, but uses the system kernel to execute programs. 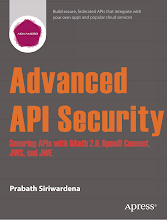 Shell Scripting is series of command written in a plain text file and executing this text file without entering the commands one by one. Any text editor can be used for shell scripting. echo "My first shell script"
1. # is used to represent a comment, which can be used to further explain what is happening in the script. Created and maintained by linux itself. Defined in capital letters. Created and maintained by the user. Defined in simple letters. To access the user defined variables it is essential to write them followed by the $ sign. 1. 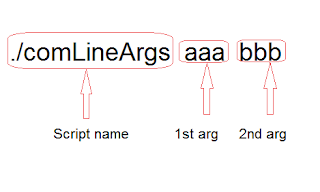 Variable name must begin with a letter or a number or an underscore, followed by one or more letters or numbers. Never use ?, * etc, for naming variable names. Use to perform arithmetic operations. Always put a space between the operand and the operator. expr 10 \* 3 multiplication use \* and not * since its wild card. echo `expr 6 + 3` should be within back quotes(find back quote under ~) or it won’t print 9. If one uses single or double quotes it will print a + b instead of 9. A header file contains declarations, macro definitions that can be shared between several source files. one can include a header file in their program with the preprocessor tag #include. System hearder files are predefined. One can include them in their program to provide the definitions and declarations need to invoke system calls and libraries. One can write their own header files which contains decarations shared between source files of their program. GNU C standard library contains several header files which are used to implement common operations. For an example, the header file stdio.h declares facilities for performing input and output, and the header file string.h declares string processing utilities. Library typically contains previously compiled codes. One can create their own library .Compilation process is shown below for creating a library. note that main.c uses the definitions, declarations contain in mylibarary. Thank you for viewing my first blog post. Before starting off I would like to thank my loving husband Prabath for encouraging me to start a blog. This would never be written without you. Oracle Virtualbox allows users to run another operating system on top of their existing operating system. For me it's always been ubuntu on top of windows. 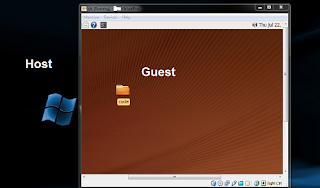 The existing operating system is usually called as the 'host' and the operating system runs on host is called as 'guest'. Download Oracle virtualbox. One of the common problems oracle virtualbox users face is the small display. Installing guest additions will give the solution. 1. From virtual machine's Device menu select 'Install Guest Additions'. 2. In the guest start a console and type the following command and run it to install guest additions. Another problem is how to pass data between host and guest. Simple solution is to have a shared folder. Before moving on to this solution one should have installed guest additions or it will give an error unknown file system vboxsf . 1. From virtual machine's Device menu shared folder create a folder and give a name you want. 2. Create a directory in the guest with a name you want. Make sure to use different names otherwise it will probably give a protocol error. 1. Select the virtual machine you want and click on 'settings'(this should be done before starting up the virtual machine). 2. 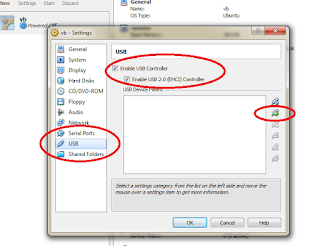 Click on 'USB', check 'enable usb controller' and 'enable usb 2.0 controller' and add usb device filters you want to have in guest. 3. 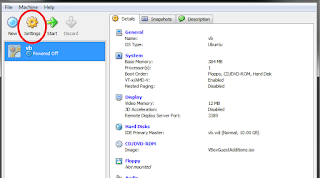 Start the virtual machine, usb device's folder will appear on desktop.